You'll fall in love with our Cubic Zirconia Chevron Ring, a brand new piece that's sure to become a classic. 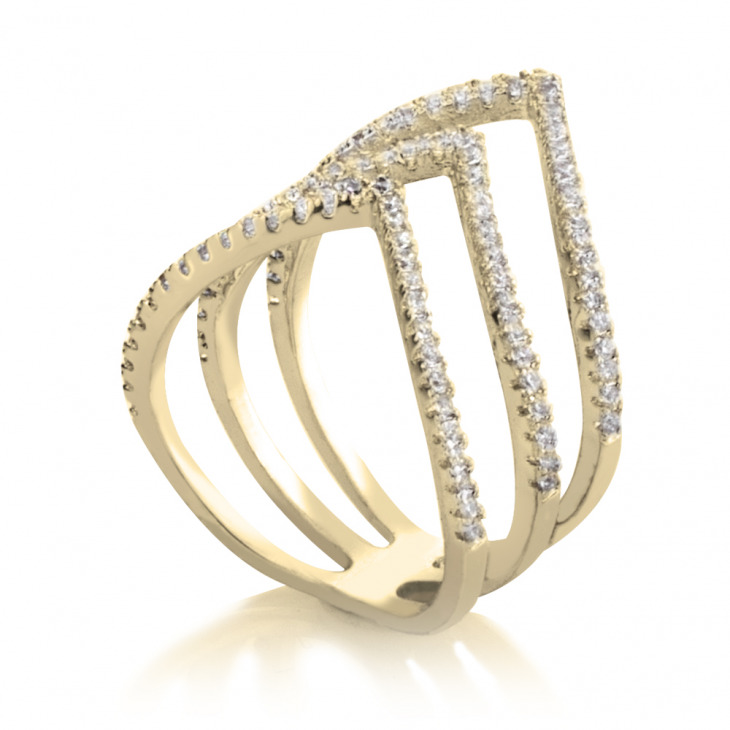 This chic layered style chevron ring design understated yet eye-catching, a true style statement. 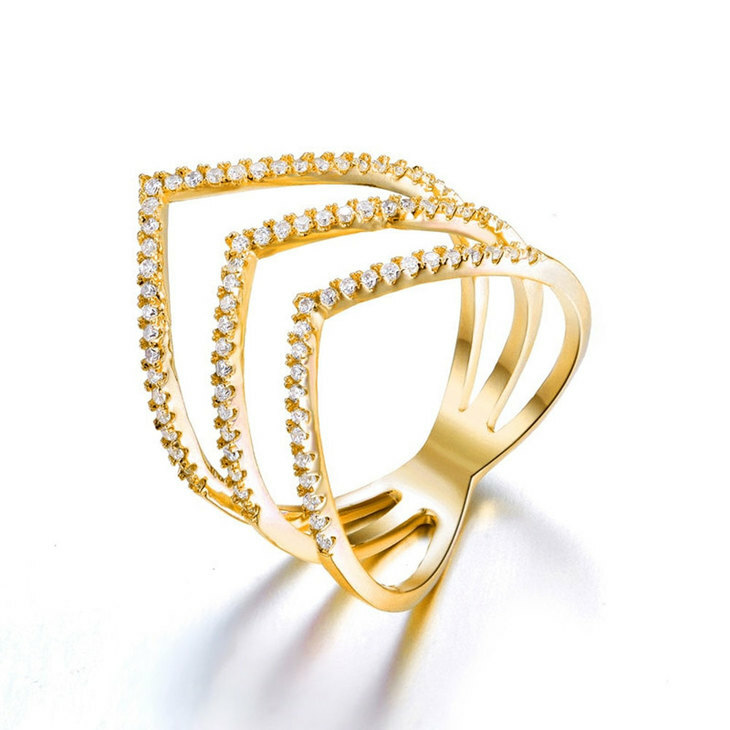 Select your favorite material, and order your own cubic zirconia chevron ring silver plated, or plate this with 24K gold or rose gold for your own unique finish. We designed this multi-layered ring to drape elegantly over your fingers, to add an exquisite and dazzling effect to any look. Order your own today, or treat someone special this elegant accessory they will be overjoyed to receive, with free worldwide shipping!